Carlsbad Caverns National Park is located in Southeastern New Mexico, 23 miles from Carlsbad on US Hwy 62/180 and 7 miles from White’s City, in the High Chihuahuan Desert and the Guadalupe Mountains. Allow an hour for the entire drive from Carlsbad since the road is steep as it winds through beautiful Walnut canyon, between White’s City and the Visitor’s Center parking lot. Be cautious as you drive, and be on the lookout for deer and other wildlife which might be crossing the road. 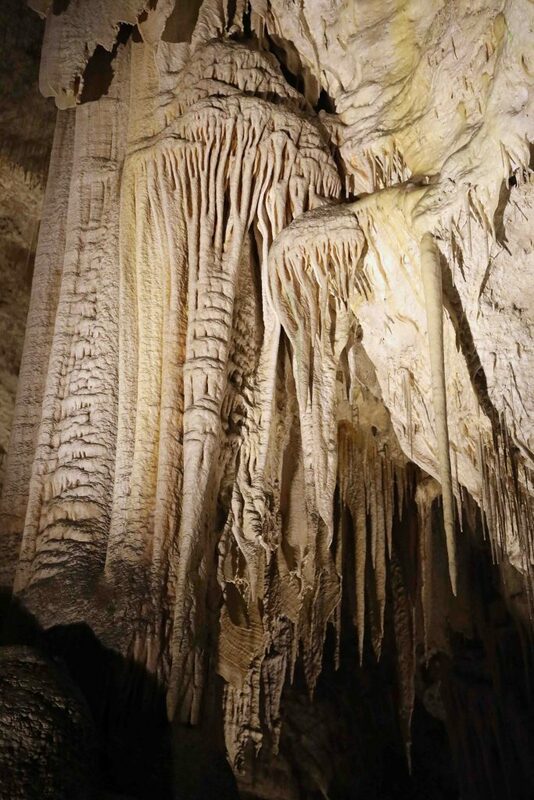 Carlsbad Caverns National Park is not just one cave but actually includes over a hundred caves within its boundaries, which is yet just a portion of the approximately 300 known caves in the area. These are unusual caves in regard to their formation; the large promontory cliff facing toward Texas, called El Capitan, is actually the remains of a very ancient coral reef, about 400 miles long, that formed when the whole area to the north and west was a shallow inland sea during the Permian Period 250 million years ago. The skeletons left behind by the coral and its marine inhabitants and neighbors (sponges, algae, shells, etc) became the white limestone that we see today. Exposed following a period of uplift and erosion, the limestone began a slow process of dissolution from slightly corrosive rainwater seeping into its cracks. All the while, there was an upward seeping, from the oil and gas deposits forming underneath, of hydrogen sulfide gas. The gas was dissolved by the water and became sulfuric acid, intensifying the process of dissolution upon the limestone. This was a small but steady working by the acid upon the rock and over millions of years, the small cracks became very large underground caverns. Later on, after all the carving-out of the old reef had taken place and the climate changed to one that was wetter and cooler, stalactites and stalagmites, and many other fascinations, began to form as the water dripping all throughout the cavities left behind the dissolved limestone and carbon dioxide that it had carried down from the surface, which became calcite. The Cave is home to around 400,000 Mexican Free-tailed Bats that leave the dark safety of their home, en masse, every evening at dusk to hunt their daily meal of insects. Their exit is a display of spiraling and undulating choreography so perfect it could only be produced by Mother Nature. It is an experience that no visitor to the Caverns should miss. In the morning, right after first light, they return again; the great number of individuals arriving generally together but yet not altogether in the same way as they did the night before. They come in, one by one, each on its own personal flight plan, sometimes taking long swooping dives into the black mouth of the cave at speeds of around 25 miles per hour! Adding miracle, to wonder, they do all this using just echo-location, completely without eyesight of the sort we humans depend on! This same method of echolocation is the same means used to hunt and grab their nightly feast of flying desert insects! The bat population swells during the months of July and August due to a new generation’s growth qualifying their joining in the nightly moonlit hunt. Bats are mammals and roost upside down in the cave (or in thick treetops and other dark places where caves are not available) during the daytime when they aren’t on their nocturnal aerial tours; therefore they spend their whole life practically never touching the actual ground! 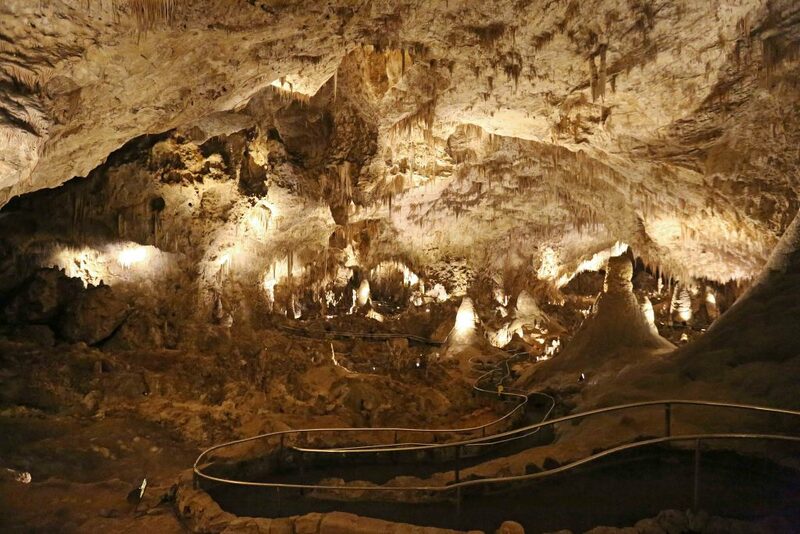 Check out all of these great things to do in Carlsbad Caverns National Park. The Visitor Center and Cave are open every day, except Christmas, at 8 am and remains open until 7 pm between Memorial Day and Labor Day, and until 5 pm for the rest of the year. Cave entry starts at 8:30 am, all year long. Two self-guided tours are available: the full tour beginning from the Natural Entrance and the shorter Big Room tour that begins 750 feet below ground following a rapid elevator descent from the Visitor Center. Both tours conclude with an equally fast elevator ride from the underground lunchroom area to the surface. During the summer season, full tours may start until 3:30 pm and short tours are allowed until 5:00 pm. For the rest of the year, the cut-off times are 2 pm and 3:30 pm, respectively. Entrance fees are the same for all tours and are valid for three days: $6 each for adults over 15 and free for everyone else. Parking is free and kennel and nursery service are available, by the hour, in the Visitor Center. There is a gift shop and restaurant in the Center, along with restrooms and the Park Service educational displays and bookstore. Restrooms, small gifts, and a snack bar are also available 750 feet below ground, near the elevators. For safety reasons, baby strollers are not allowed anywhere in the underground cave. Babies can be carried in baby-packs on their parent’s backs. All children must be supervised at all times. Keep children, and yourself, on the trail at all times in order to remain both safe from injury as well as preventing damage to the cave. No walking sticks or canes are allowed on either tour. The shorter Big Room Tour is wheelchair accessible, however. 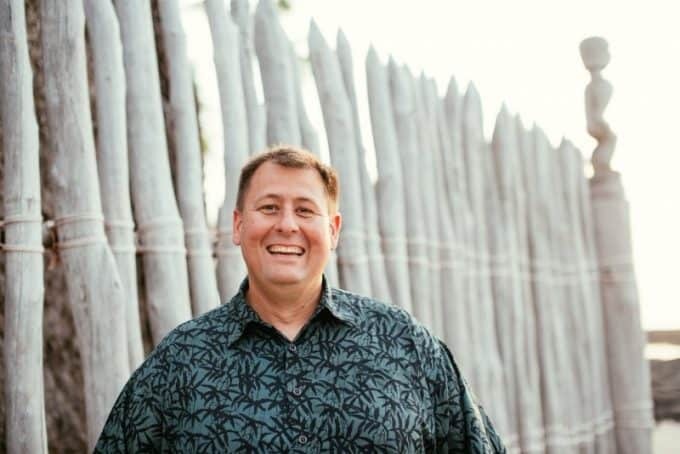 Staying on the trail applies to all visitors, both adult and children, without exception. Anyone found off the trail can be immediately escorted out of the cave, at the discretion of the attending Park Ranger. Touching of any cave formation is also strictly prohibited. No food or beverages are allowed on any Cave tour except for drinking water. Pictures are allowed although the lighting and conditions in the cave make the possibility of a good image turning out very slim. No pets are allowed in the cave, except for service dogs. The cave is very humid with a constant temperature of 56, so a light jacket is recommended. Those who use inhalers to assist their breathing should be sure and bring their inhaler along with them. You should wear well-fitting closed-toe shoes with a non-slip sole. Under NO circumstances should you wear sandals of any sort, especially thongs or ‘flip-flops.’ Not only will you be compromising your personal safety, by the end of your visit, but you will also be absolutely miserable! The full tour is about 1 1/4 mile long and takes anywhere from 1 1/2 to 3 hours to complete. The first half of the tour is a rather steep descent of 750 feet, from the entrance to the Big Room, on a relatively narrow paved path that has solidly planted stainless steel handrails wherever necessary. Along the way, there are many convenient places beside the trail to sit and rest on benches. All general tours are self-guided so there are no pressures on any visitor to hurry their tour beyond their comfort level. The Big Room Tour is around 1 mile long and usually takes about an hour to complete. In contrast to the full tour, the Big Room is on a relatively flat course around the cavern floor and isn’t at all as physically demanding as the full tour from the natural entrance. From Memorial Day until mid-October, visitors may attend the nightly Bat Flight held in the small amphitheater at the Cave entrance. It is free for all to attend and a must-see for everyone. Once during the summer season, there is a special Bat Flight Breakfast for a small and reasonable fee in exchange for a breakfast cooked by Park Employees and another unforgettable natural spectacle well worth the very early wake-up call required by the schedule of the bats. After the breakfast, all attendees may then tour the cave with having to pay the usual entrance fee. For the well-being of the bats, absolutely no cameras, of any kind, are allowed at any bat flight event. There are many excellent images, in multiple formats, available in the visitor center in order to commemorate the experience. No pets are allowed at Bat Flight events. For the average non-spelunker, nothing compares to the adventure of walking underground in this cavern full of strange and delightful formations that spark the imagination and continually awe the senses. It does require a fair amount of planning and preparation before and can be somewhat physically challenging for a few people, but none to a degree that isn’t well worth a one-of-kind experience that everyone enjoys, regardless of their personal experiences! Anyone traveling through Southeastern New Mexico, whether for business or pleasure, should certainly put it at the top of their to-do list and make the time to take the one day needed to see and do all that is offered at Carlsbad Caverns National Park in New Mexico.